The United States Border Patrol has rescued a group of 57 Central American migrants who were abandoned by cartel smugglers in Arizona Friday. The large group included men, women and children – with one being an underage pregnant girl. The majority of those rescued were children, who had been left for dead in the scorching 108-degree heat. Some 36 of those rescued were minors, with one being as young as just one year old. The stranded and dangerously dehydrated illegal immigrants originated from El Salvador, Nicaragua, Honduras and Guatemala, according to U.S. Customs and Border Patrol. The pregnant female was administered intravenous fluids by Border Patrol EMT’s and immediately transported to a local hospital for further treatment. The officials also warned of the treacherous terrain faced by those who choose to risk their lives in order to gain access into the United States. President Trump’s “zero tolerance” immigration policy has been left in tatters over the past week. 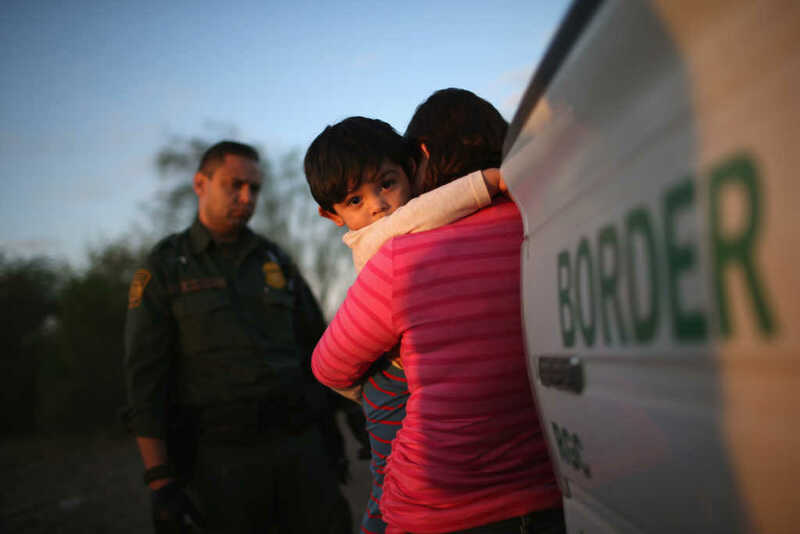 After signing an executive order ensuring that families are not separated when caught by border agents, US Customs and Border Protection Commissioner Kevin McAleenan ordered a temporary hold on criminal action against those who enter America illegally. This goes against a key promise of the President since his campaign days – he has repeatedly promised supporteres that a fortified border wall would be built, and that illegals would face immediate proseuction. “We can work on a plan where adults who bring kids across, who violate our laws, who risk their lives at the border could be prosecuted without an extended separation from their children. We’re looking at how to implement that now,” McAleenan said, according to the Evening Standard. Many media outlets have cited Trump’s Sunday tweet in which he declared that those caught crossing the border illegally should be sent back “immediately, with no Judges or Court Cases” some legal scholars argue this would violate their right to due process. Also, in 1953, the Kwong Hai Chew v. Colding Supreme Court case resulted in an 8-1 decision that a permanent resident of the United States could not be deported without a hearing under the constitutional right to due process. “Not even Congress may expel him without allowing him a fair opportunity to be heard,” the court wrote. Others were highly concerned at Trump’s suggestion that mass deportations could be enforced and criminal proceedings expedited without the due process of a fair hearing.